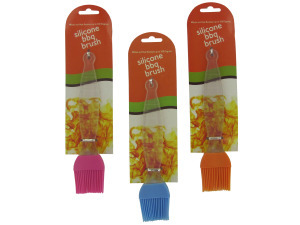 With its innovative design and silicone bristles, this barbecue brush is perfect for outside and stove top grills. Keep beef, poultry, or fish moist by mopping with sauces and marinades. 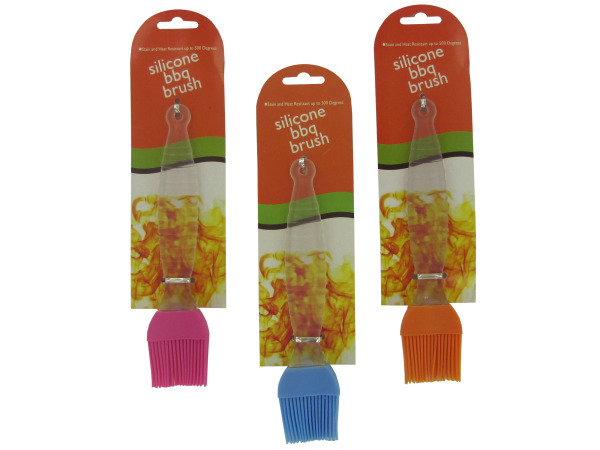 Brushes are easy to clean and are heat resistant up to 500 degrees. Measures approximately 8" long. Comes packaged to a tie card in a hanging poly bag.